Summary The pictogram represents our only wealth - united consciousness of civilization. 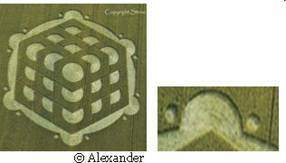 The crop circle indicates the required for the Transition structure of Earth civilization information cell. Only such homogeneous in terms of the united consciousness of civilization can cause an action able to transform our body for the Transition and life continuation. The pictogram has a double idea. Close image – is a cellular structure with the big spheres enclosed in every cell. 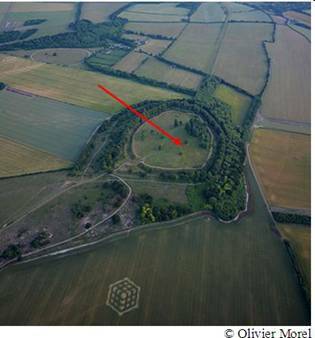 From a distance it seems that on fields is represented the forged chest with cuts and something light inside. Let’s consider each representation of this pictogram. ETC presented the necessary structure for the civilization’ Transition – a homogeneous cell of Earth humanity, which should consist of separate groups of people prepared for the united consciousness formation. Such cell’ uniformity is necessary for creation of resonance, i.e. repeated strengthening of the united consciousness action generated by groups of people at the moment of synchronization of consciousness of Earth mankind. The purpose of resonance strengthening is to cause the action of the united consciousness of improbable power. As a result a laser beam will arise and it will destroy a body from the level of Crystal structures. Simultaneously a new holographic body will appear at the Highest level of the material world, where a new life cycle of humanity will begin. This process is known in the Holy Scriptures as the general resurrection. ETC indicate that creation of such homogeneous resonance cell of civilization - is our greatest treasure, because only the united consciousness can give us opportunity to prolong our life. High homogeneous cellular structure of humanity consciousness will not arise by itself. It is formed only under certain special conditions and preparation. The purpose of humanity is in the shortest terms to generate global planetary consciousness – the highest resonance consciousness which possibilities will be revealed in synchronous unification of all mankind consciousness. Expansion of the united consciousness cell brain area will occur through integration of separate cells of people regardless of the country of residence location. 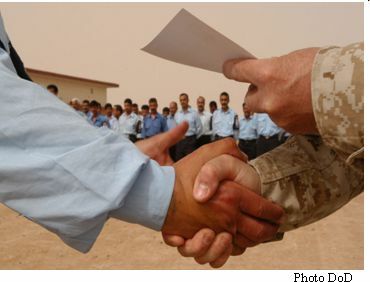 The cellular structure will allow quickly react on people’ troubles and considerably reduce number of suicides, i.e. will save maximum of planet’ population – the main criterion for our Transition. Process of preparation for association of civilization’ consciousness for the Transition due to its incredible importance must have unprecedented planetary scale. ETC warn that rejection of this program will inevitably lead to destruction of our civilization in global cataclysms. The pictogram revealing today's condition of mankind’ cell looks absolutely different. It reflects the large-scale heterogeneity of human consciousness separated by thick walls of cells. Edgar Cayce the famous American sleeping prophet in his predictions told about coming cataclysms and the only one way to prolong our life through the united consciousness of civilization. This is ETC message to mankind having a carbon basis, i.e. to us, humanity of Earth, because the basis of each block of the pattern is a regular hexagon, representing a hexagonal lattice of carbon. Each element of crop circle in the form of a regular hexagon with circle in the centre represents a cell of the united consciousness. The expanded area of a brain of the united consciousness cell is shown by a big dark circle inside. ETC inform that the basis of the Transition is the principle of the united consciousness formation: as a result of unification of two people consciousness from two individual cells with small brain areas the united consciousness cell with expanded brain area is formed. This principle is presented by each of six chest’ legged. Thus, two small circles represent two brain areas of individual cells. The big semicircle is a brain area of the united consciousness cell. The pictogram shows a big number of united cells. This pictogram presents the Earth civilization united consciousness cell as a set of united cells. 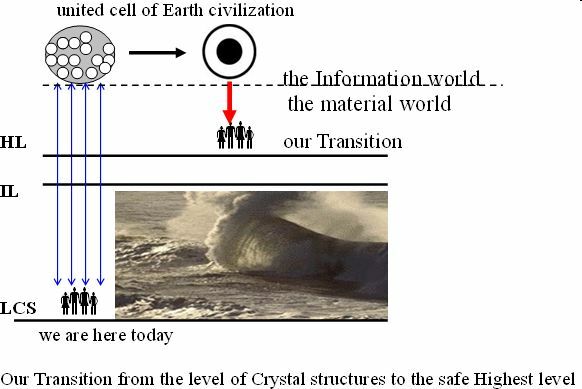 Information cell of Earth civilization, consisting of 6.7 billion individual cells, ETC often represent in various objects of the System of Information Transmission. Thus, it is presented by a huge massif of over five thousand salt-pools of squared shape in salt mines of Maras, Peru. 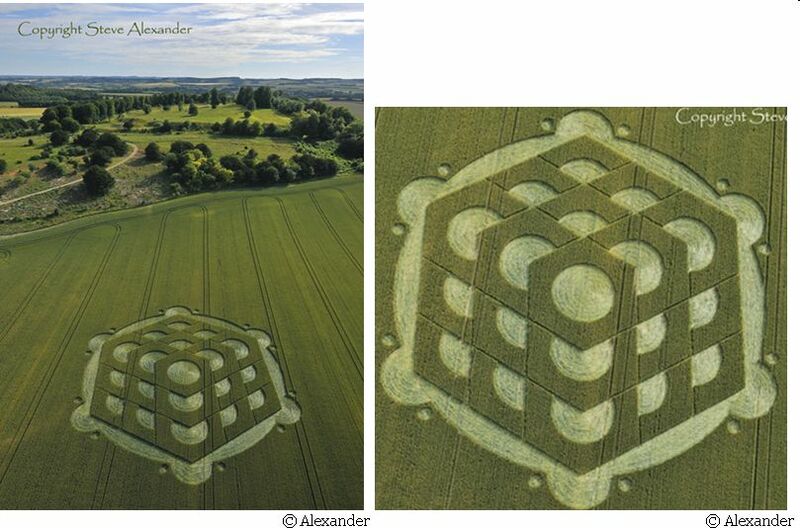 It is also presented in crop circles. Now, even in the universe there is a large-scale heterogeneous of consciousness spatial distribution of galaxies and their clusters. Galaxies of different shapes have different levels of consciousness. 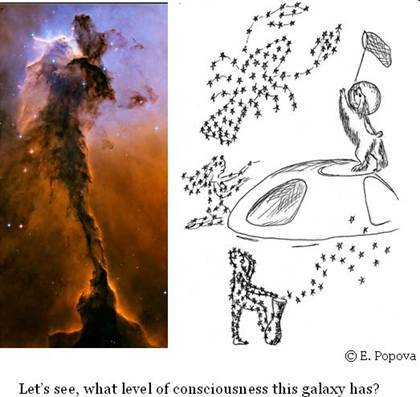 By shape of the galaxy it is possible to define what level of consciousness develops in it. There are several phases of the universe development. However, gradually through information interchange level of consciousness in the universe is equalized. The cycle of consciousness development in the universe, the same as life-cycle of Earth humanity will be completed by the unification of all galaxies consciousness. Great mission of ETC – association of consciousness in the universe. ETC presented on fields a huge forged chest with light cuts. It represents the biggest wealth of civilization, our jewelry – the united consciousness. Only it gives us life because only united consciousness is capable to transfer us in the next cycle of a life. Usually such chest with treasures as the inheritance is the bases for the future life. In R. Stevenson's novel «Treasure Island» pirates hunted for such a chest. The forged chest with light cuts reminds also a cage of events from which there is no escape – only through the united consciousness. The correctness of the pictogram decoding underlines its location. ETC placed it near huge fenced site similar to a brain area of the civilization united consciousness cell.